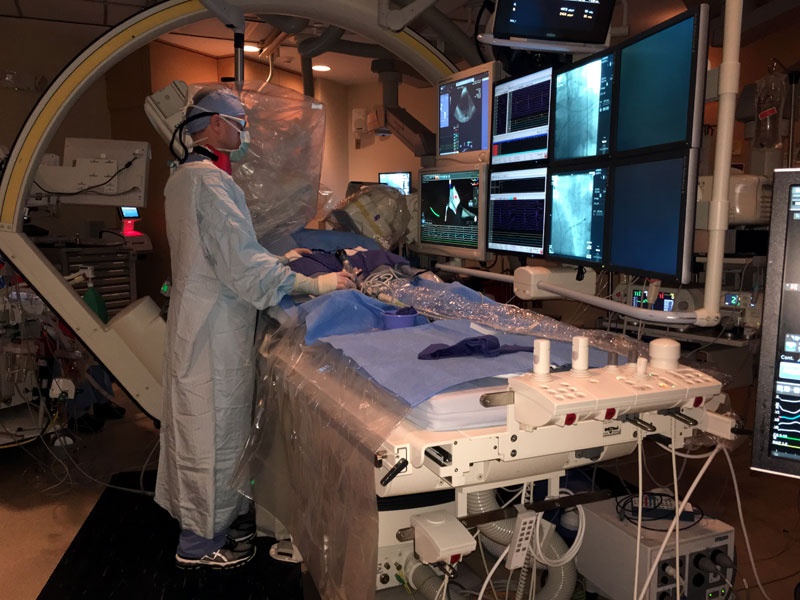 Director of the electrophysiology lab at the Minneapolis Heart Institute, Dr. Melby has special interest and experience performing complex catheter ablations for treatment of fast heart rhythms, particularly atrial fibrillation. He is a recognized expert, speaking nationally on the latest ablation techniques and technology, and has participated in many national research studies of new ablation technology. Resolution of low-level signals is a critical aspect of surgery in all EP labs. Electrical noise impacts the ultra-sensitive electronics and monitoring systems used in common ablation procedures. As such, the Minneapolis Heart Institute has tested many alternative systems in their pursuit of a lower environmental noise floor over the years. None have delivered significant performance gains. Now the Minneapolis Heart Institute is testing Clear Image Scientific products for measurable and significant reduction in electrical noise. 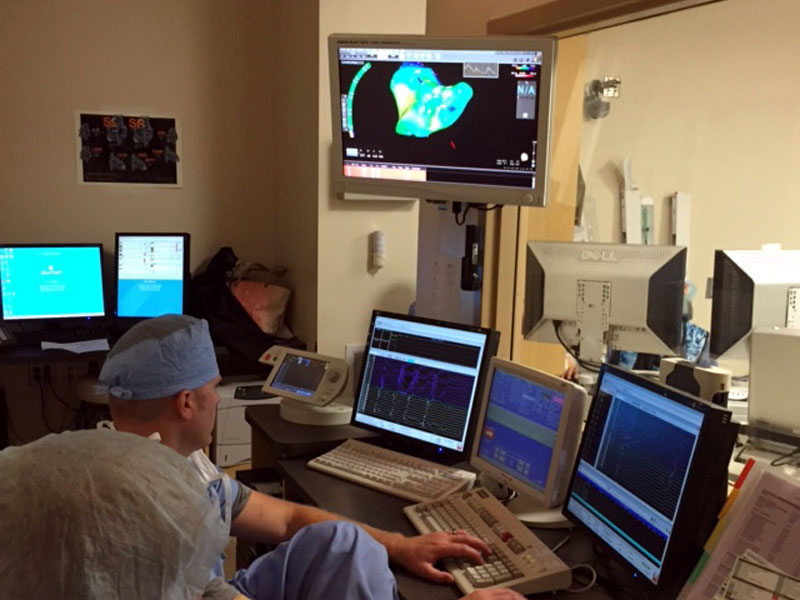 Lab while Dr. Melby performs a delicate Heart Ablation procedure. 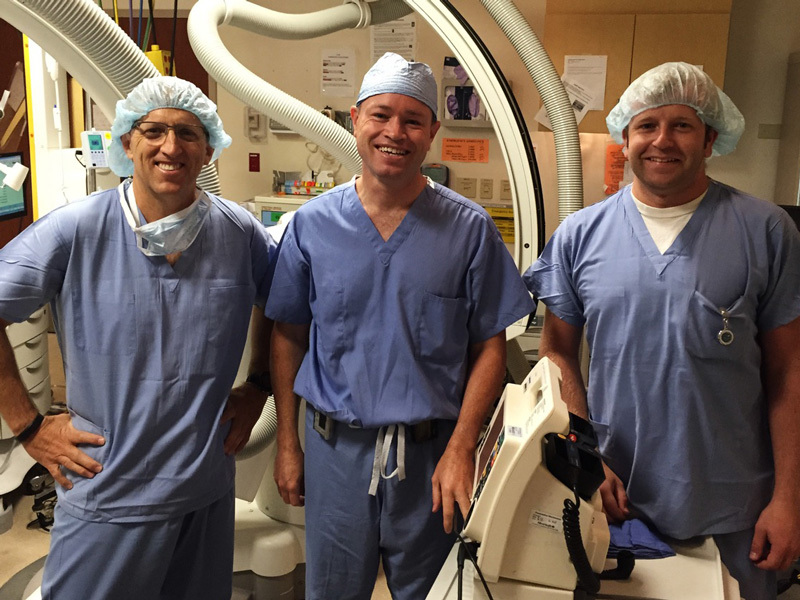 Dr. Melby relies on clear imaging and sound for his delicate Heart Ablation procedures. Perform three heart procedures using an ascending number of Clear Image Scientific products. After: the resolution was better than the recording system by a nice margin. Signal amplification and processing used via CIS power products outperformed a dedicated $75K signal amplifier. We recorded dramatic reductions in noise-levels as more CIS products were applied. Best case of the day was the final procedure of the three with the maximum number of CIS products applied. The CIS power conditioners and cords are now a permanent part of the operating room systems at the Minneapolis Heart Institute and have been recommended to countless other hospitals based on their astounding success. This improvement can and will result in meaningful improvements in these procedures for our patients.